Gestational diabetes is one of the most common pregnancy complications. 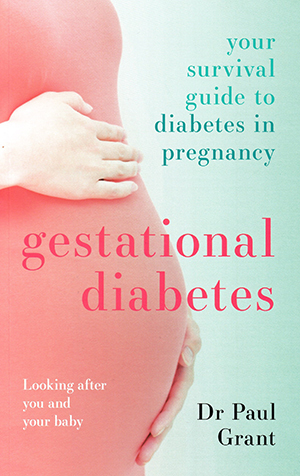 This book is part of the 'overcoming common problems' series and is aimed at women who have developed gestational diabetes. It is easy to read and includes a useful glossary at the beginning of the book to explain common medical terms and abbreviations that healthcare professionals can sometimes forget are not part of non-medical language. The book uses the format of questions and answer, which help the reader to feel engaged rather than overwhelmed, and the information is broken down into short, easy-to-read paragraphs. National Institute for Health and Care Excellence guidance regarding gestational diabetes is discussed in an understandable way but without oversimplification. Interpretation of best practice and guidance is given in a practical way, including recipes and best ways to increase exercise and activity. The use of case studies also helps to normalise what can often be a stressful time for the woman. I would highly recommend this book to any woman who has been diagnosed with gestational diabetes. I would also recommend this book to healthcare professionals who work in this field, to develop for their knowledge and offer ideas for practical advice.